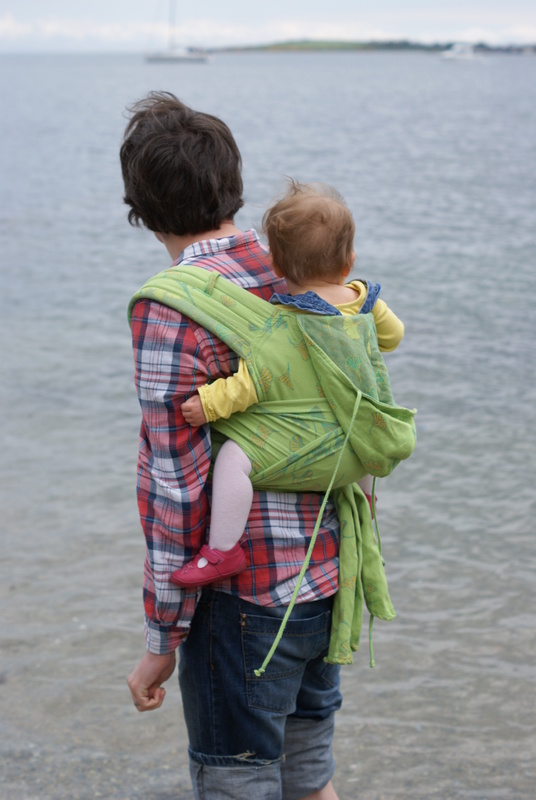 Being a babywearing dad is awesome, there’s no two ways about it. But I definately remember being a bit self-conscious at first. I remember being in Bloomfields in Bangor, wearing Clara, and being openly laughed at by a bunch of kids. But such days are long past, and if people laugh or comment derisively, then I’m not going to notice, because baby carrying now is as natural to me as espresso in the morning. I was out the front strimming the grass the other day with Gnug on my back in a mei tai, when who should drive past but Paddy the farmer. Now Paddy is your typical Irish farmer – big, burly, wearing a stained checked shirt and wellingtons, driving an old pick-up truck that looks like it’s never been washed. Come to think of it Paddy didn’t look like he’d washed recently either. Now Paddy being Paddy he stops for a natter, and switches his engine off (this of course being a vital clue as to the likely duration of said natter; when the engine goes off, you know you’re in for it). Paddy had doubtless never seen any one wearing a baby, let alone a man wearing a baby, let alone a local man wearing a baby, but he thought that being able to carry a little one whilst out and about doing some manual work was simply an excellent idea. He was telling me that his son and his wife (his son’s wife, not Paddy’s wife; man, the country’s bad, but not that bad) are expecting a baby in October, and he was going to tell them about baby carriers and how great he thought they were.